Working at GLAMOUR means I'm always styling shoots a season ahead (we work around 4 months in advance) - so right now I'm thigh deep in summer clothes. b) annoying because I want to buy and wear everything now and I cant because it's not out yet and it's 4 degrees in London so BIRKENSTOCKS YOU WILL HAVE TO WAIT. 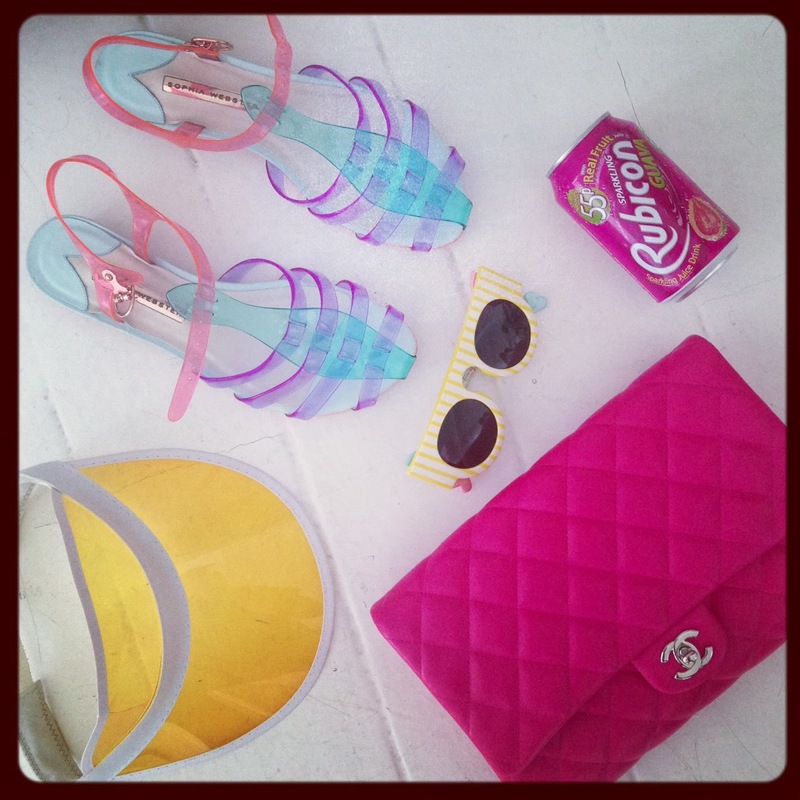 Plastic Sophia Webster Jelly shoes, ASOS perspex visor, Craig & Karl for Le Specs sunny-g's, Barbie pink Chanel bag and a can-o-pop to put a spring in my step. Now BRING IT ON SUMMER.